Paytm is undoubtedly the best wallet app of India and it has also launched Paytm Payments Bank so earning some paytm cash in meantime is not a bad idea. Hi There and Welcome to Bigtricks. 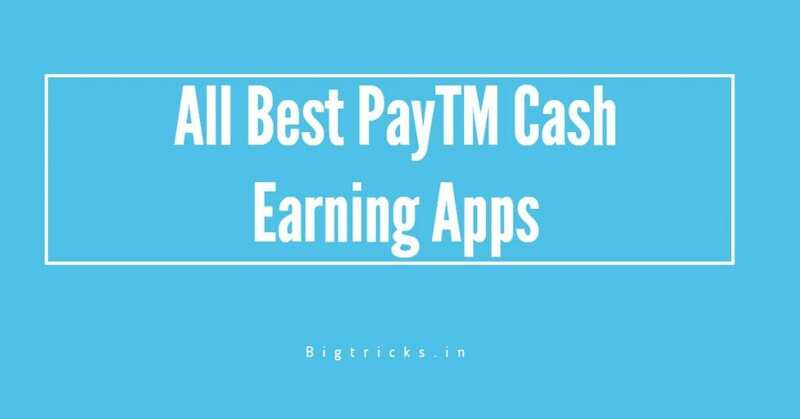 Today I’ll showcase you the top apps from which you can earn Paytm cash. Also as soon as you see this post comment down your referral code or referral link or both to feature that’ll this post. A user can comment refer code of Only one app. If you post refer code of 2 apps in your comment then none of your code will be featured. Whichever user code is used will be notified in comments. There Are Lot’s of Apps available on Playstore & offer PayTM Cash too but for a limited time as a Promotion or Some Activity but below we tried to cover almost all Apps which Offer PayTM Cash for long.Go through the Post & you will find some useful App that you should have in your Phone. The PanelStartion is Survey Website which is offering PayTM Cash. You Can Earn Rs.300 Easily. Tou can’t Refer Friends. Just Register & Fill Surveys Regularly. Read Complete Post from here. PayTM Transfer Time – 24 Hours. Kapow App’s Refer & earn is Live from a Long time & Offering Rs.9.99 For Every Referral. You Can Redeem Wallet Amount to Paytm Cash. Refer Your Friends by Sharing Your Code. Rs.9.99 Credited for every new Referral. Databuddy App is A App Try & Earn App. Databuddy Offer Rs.10 PayTM Cash on Signup & Rs.5 For every invite. Rs.10 Credited for every new Referral. Rs.15 Credited for every new Referral. PayTM Transfer Time – 96 Hours. Rs.7 Credited for every new Referral. Rs.5 Credited for every new Referral. These are the Apps & Website which helps you t earn PayTM Cash By Doing Some Tasks. The List is Updated on 17-August 2018. 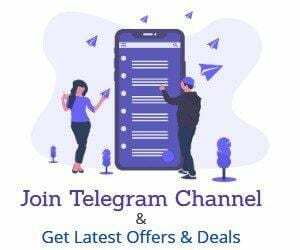 You Can Join our Telegram Channel to Get More PayTM Cash Earning App Details.